Call data, which is captured using Delacon’s solution, can be analysed using our reporting tool. Accessed through a secure login from the Delacon website, there are a variety of reports that will provide you with the essential data to more accurately measure, analyse and optimise your campaigns. 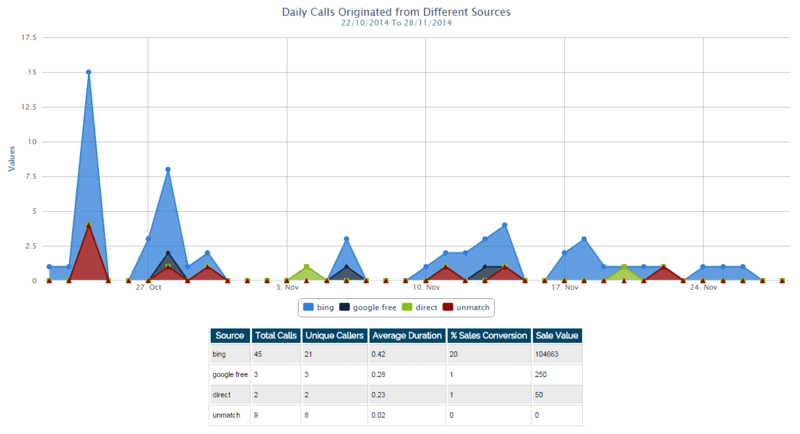 The Daily Call Statistics breaks down all calls tracked into answered, unanswered and busy over a selected time period, while the hourly call statistics report breaks down all calls tracked over one day by answered, unanswered and busy. 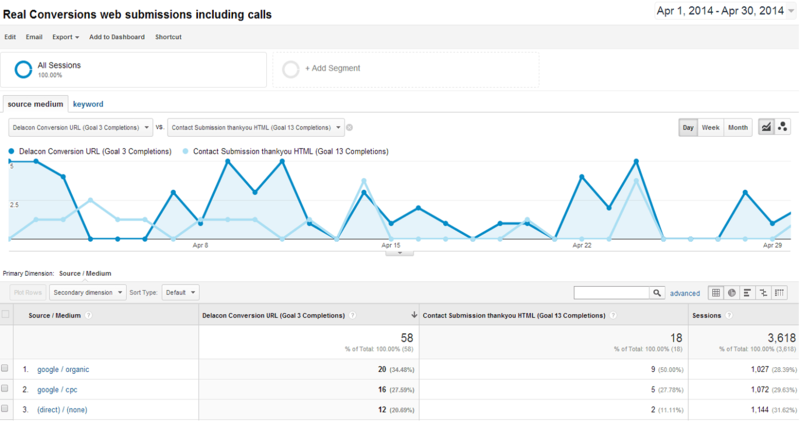 The Call Summary Dashboard Report contains all calls for each campaign or campaign source broken down into answered, unanswered and live conversion. The Call Tracking Source Report is great at identifying calls by the initial online source whether it’s from a search engine or a direct visit to the website. 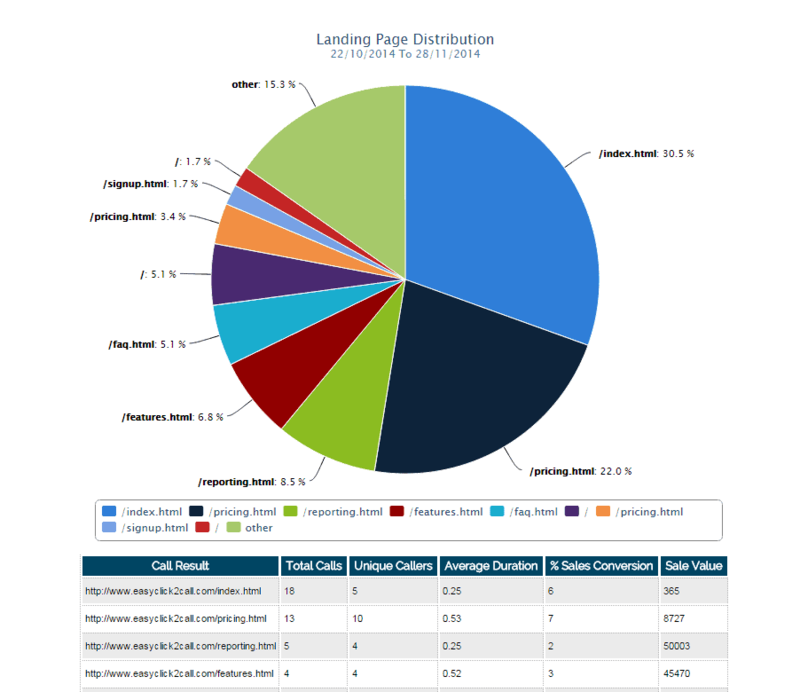 To identify keywords that lead to a call, take a look at the Call Tracking Keyword Report, while the Call Tracking Landing Page Report features the landing pages that lead to a call. For raw phone call data, we have the Detailed Call Log, which contains all the data captured by Delacon’s solution. Thanks to the integration of Delacon’s advanced call tracking solution and many other software platforms you can analyse call data in your preferred analytics tool. Our most popular integrations include Google Analytics (Classic and Universal), Google DoubleClick Search, Marin, Kenshoo, Acquisio, Sizmek, Salesforce and Optimizely. Principally you’ll be able to measure online conversions (submission forms) and offline conversions (phone calls) side-by-side to make more informed optimisation decisions. Delacon’s in-house developers regularly add additional integrations to our impressive suite. We can also undertake custom integrations – including both additional development on our standard off-the-shelf software integration and bespoke software platforms. Feel free to chat with your local Delacon representative about where you’d like to analyse call data.